Chapter 22 - Guess Who? Her hair had been green that day. She almost never went with green, as it made her look sallow, but she’d been messing around while she drank her tea. It was Floo green and curled about her ears. The fire had roared high and emerald, and she’d turned to see Kingsley’s solemn face. The children were in danger at the Ministry. She’d fallen through the fire and gathered with the rest of them… Kingsley, Moody, Remus, Sirius. Sirius. Kingsley and he had shouted at each other. Kingsley said he couldn’t come, he knew the rules, it wasn’t allowed. And Sirius had said that he had to come because it was Harry. Merlin, couldn’t they see? It was Harry. In the end, they’d all gone together, Flooing right from Grimmauld Place to the Ministry. They’d been so light-hearted about it. It wasn’t her first fight, but she was a little nervous. Remus patted her shoulder and said sweet things, and Sirius chased his tail, and she’d felt better. They’d burst through the door of the chamber and she’d never felt more brave. They were the Order. They were invincible. “Come on, leprechaun,” Sirius had taunted her as he ran for the Death Eaters. She’d tripped down the steps, but that was just natural. She simply stood and ran to help. It was odd, considering the clarity she had for most other fights she’d been in. She remembered details from them all… but this fight was just a blur. Flashes of wand light, loud voices, and the feeling of slick sweat down her spine as she fought. She remembered hitting the ground hard with some hex or another, her skull cracking the stone floor. The world was dark and came back in pieces, first sound, then light, then color. It was as if a light were being cast on one spot and then slowly expanding to fill the whole room. And the light was on Sirius. He was laughing, his head back, his teeth so very white in his darkly handsome face. Still handsome. Always handsome. She’d smiled at the picture he made there, and she was still smiling when the spell struck him. He’d fallen back through eternity, and she’d laid her head back down against the cold rock of the floor. Last edited by Cassirin; 01-15-2010 at 05:24 AM. In case you can't tell... this is a story about Tonks. It will stretch from the end of OotP until... whenever. I wanted to explore the progression of her relationship with Lupin, and this is the best way to do that. This first bit is a memory before the story begins... it is the prologue, I suppose. Location: I hear voices in my head and you worry that you're a freak? *New Reader* Can't wait till you post more. Please post more soon. Erin!!! Tonks and Lupin!! Looking forward to more! Nymphadora Tonks knew she’d spent far too long in the infirmary. Her injury was healed, but she stayed in her bed anyway. It was unprecedented; Poppy kept coming in to stare at her. The first time she’d done it, her face wrinkled in thought and she’d tried to chat cheerfully with Tonks. When that didn’t work, she’d tried berating the young woman into getting out of bed. It had come to no end, and now Tonks would turn her head to the wall and stare at the cracks as soon as she heard the busy click of Poppy’s shoes. There was one crack that traced from just under a portrait almost to the floor, and Tonks was convinced that it was getting longer. Each time Poppy came to watch her, Tonks would concentrate on her pet crack, coaxing it along to meet the floor. Finally, Poppy would leave and Tonks would settle back against her pillow. She was sulking like an angry child, but there was nothing for it. There was nothing wrong with her except grief over the loss of her only decent family member and the knowledge that she’d failed in her job. She’d failed. She was a 22-year-old failure. And a baby on top of that, because she was keeping to her bed to avoid talking with anyone about any of it. That was it exactly, and Tonks smiled genuinely for the first time in days. It was freeing to be understood in that way, and she was suddenly able to escape her tunnel vision. “How are the kids?” She leaned forward and put her hands on her knees, stretching her shoulders. Several days of bed rest weren’t as relaxing as one would think. “Harry’s in shock, I think. We’re going tomorrow to meet the train and scare the Muggles into good behavior.” He quirked his eyebrow, and Tonks read in that gesture his subtle sense of humor. He knew it would be a bit of a lark to talk to the Muggles about Harry. They were rotten through and through, that much was clear, and they were also Muggle to the point of blind foolishness. She licked her lips and nodded. “D’you think they’d let me come being pink?” She pulled out a strand of her limp green locks and grimaced. She didn’t want to tell him that she struggled to change when she was in a mood like this. People seldom understood that her power was linked more to her emotions than magic should be. Strong emotion had caused her to shift when she was younger, and although it was under control there were still times she got… stuck. After her Grandfather Tonks had died, for example… she’d given herself his silvery hair and cowlick without even meaning to, and it had stuck for weeks. “So what color do you want then?” Tonks screwed up her face and turned the hair vividly orange and curled into tight spirals. He shook his head and made a face. “Something more natural. I don’t think I’ve ever seen you with a normal hair color. How about your own coloring?” He said it as if it were a dare, and Tonks was so tempted to do it. She’d never given in on this point before, but Remus made it a challenge. Instead, Tonks made a face, and her hair turned tomato red. “Go, go Gryffindor,” she cheered and settled back against her pillow with a look of triumph clear on her face. Tonks nodded and turned to face her wall again. She closed her eyes tightly and listened to his heavier tread leave the room. She didn’t want to watch him walk away. Last edited by Cassirin; 01-09-2008 at 03:49 AM. I don't know why you were so apprehensive about posting this. I thought it was great. eeeeee I abhor trransitions. But, I thought yours went well. The station was crowded, and Moody had insisted they wait outside the barrier. Tonks slumped against a brick wall and stared back at a Muggle mother who was eyeing her pink hair suspiciously. “I think pink is your color too, doll,” Tonks gave a half-smirk that was all rock-and-roll and definitely not Tonks. She hadn’t aced disguises for nothing. The woman hurried on, and Tonks grinned cheekily at Remus’ low chuckle. “You are a brat,” he agreed, although his eyes never left the barrier. He had that line drawn deeply between his eyebrows. It had been there since Sirius had… fallen. He didn’t talk about what was going on behind that line but perhaps he understood her guilt and the burden of caring for Harry now that Sirius was gone. “Aye, but a most effective brat,” Moody grunted. He’d popped his eye out to shine it. A little girl gave a shriek and fainted dead away, and Moody stuck it back in and pulled his hat low. Tonks blushed at their comments, her cheeks matching her hair perfectly. “Shut up, all of you.” Remus gave a sideways-grin, but she was saved from future comment by the wave of students appearing through the barrier. The rush of students had slowed before Harry appeared with Ron and Hermione. Moody held them back as the three were greeted by the Weasleys. Sighing in impatience, Tonk put herself back on guard dog duty and quickly spotted the Dursleys. Their picture had been hanging in the house last summer when Harry had been rescued. Noting their absolutely Muggle-extreme reactions to the welcoming party, Tonks wished fervantly Kingsley could have come with them afterall, but he’d been called away to talk to Scrimgeour about some new mission. Tonks was rather jealous of it, whatever it was, but she’d come to terms with the fact that Scrimgeour was not her biggest fan. Moody finally gave the signal and clumped forward on his wooden leg, and she followed with Remus. Tonks knew the exact moment that Harry looked up and spotted the three of them coming for him. Emotions danced across his face. Tonks loved that Harry wore his heart so openly like that, although she knew that the fact his feelings ran so deep and close to the surface were one of the reasons the world hurt him so often. He was still a little boy aching for someone, anyone, to love him. She ached to hug him but settled for an indifferent pose as Moody and Molly fought subtly for the lead. Hey there! I like the way you've started out this fic. You have very good grammar and I like your writing. I can't wait to see where this story goes! Hunter of vanished tortoises\\Don't mess, yo. Today your siggie is brought to you by the letters K,I,R,S,T,I and E.
YAY! This is great. I love reading your stuff. Cassirin, this is so nice. Really love it. New post!!! I am loving this! Tonks slumped against a brick wall and stared back at a Muggle mother who was eyeing her pink hair suspiciously. “I think pink is your color too, doll,” Tonks gave a half-smirk that was all rock-and-roll and definitely not Tonks. She hadn’t aced disguises for nothing. “You are a brat,” he agreed, although his eyes never left the barrier. He had that line drawn deeply between his eyebrows. It had been there since Sirius had… fallen. He didn’t talk about what was going on behind that line but perhaps he understood her guilt and the burden of caring for Harry now that Sirius was gone. I love this description and that is very much like Remus. Tonks loved that Harry wore his heart so openly like that, although she knew that the fact his feelings ran so deep and close to the surface were one of the reasons the world hurt him so often. He was still a little boy aching for someone, anyone, to love him. She ached to hug him but settled for an indifferent pose as Moody and Molly fought subtly for the lead. Awesome post Erin!!! Looking forward to more! 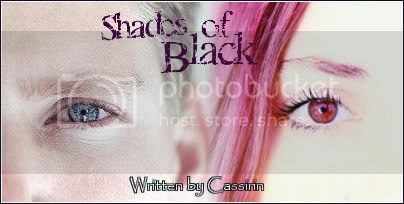 Ohmigosh, I adore this fan fic! It sounds just like how JKR would write if she was telling it from Tonk's point of view I love it! PAMS! BUMP! Location: Sitting in front of my computer of course!! **P.s Thankyou Vanilla Sky for the Wonderful Avvy+Siggy! This is really really good PLEASE post more soon!!!!! I want to know what else happens!!! It had been a very good day, Tonks considered as she watched Harry walk away with his family. The best part hadn’t been the way the boy, Dudley, nearly wet himself every time any of them moved. Tonks certainly hadn’t been helpful when she made her nose into a pig snout just as the boy chanced a look at her. Thankfully, no one else had noticed. The best part hadn’t been the way the woman, Harry’s aunt Petunia, had nearly come unglued at the site of Tonks’ rock star look. She stared hard at Tonks’ hair, her mouth set in a primly disapproving line. Tonks’ had only been able to grin back good-naturedly. She wanted to say something very unprofessional, and that’s why they didn’t let her lead missions yet. The best part wasn’t even the way the man, Harry’s uncle Vernon, had stuttered and blustered his way through conversation with Moody, only to nearly wet himself at the end of it. Silly man. Of course, Moody was threatening him. Even Tonks, with her little girl face and her pretty pink hair was threatening him. They certainly weren’t inviting him out for tea and scones. No, the best part… the part that made her whole day had happened at the end of their little ‘chat.’ The Order was satisfied that the Dursleys understood exactly where they all stood, and the Dursleys were attempting to salvage their pride and hustle Harry away. Harry had looked over his shoulder at them, gratitude and hope written clearly on his face. For that shining moment, he’d forgotten all that he’d lost in his short life, and he knew only that they loved him and that they’d fight for him. Maybe Remus could read her mood, or perhaps he’d been struck by that melancholy at the same moment she had. Or maybe it was simply that she had tripped over a waylaid trunk and was careening for disaster. Whatever the reason, Tonks found her hand in his, and she was suddenly upright and walking again. Somehow, she managed to maneuver around all the other trunks and bags and carts and small darting children. She moved as if she had grace. Cassirin: this is beautiful. I'm speechless. That was an awesome post. I really enjoyed it. I can't wait for your book to get pblished. I thought you were published!!!!! YOU SHOULD BE!!! and when you are tell me!!!! I love that! She has such a mischievous streak! That is so Aunt Petunia! And a very good explanation on Tonks and not leading missions.. a little too rash and outspoken... sounds like a Black trait! OMG that is so funny and I just love how you are building up to the best part. And that is just so wonderful. *sigh* it just makes me want to reach out to him. I don't think enough people show Harry in that light and it is very nice to see it through Tonks eyes. That is so touching. I love how you wrote that. I'd so buy your book! I'll start off by saying, I love your title... It's awesome. There's no way anyone who sees it wont get curious. At first I thought it was a Siry fic, and being the crazed Maurader fan that I am, there was no way I would let it pass by. I was actually not dissapointed when I realized it was a Tonks fic...I think it's sad that there are so little fics that include Tonks. After Siry and the Mauraders, Tonks is my favorite character! You've blown me away and I'm definently going to keep stopping by. She moved as if she had grace. I love this line. It just seems to sum up Tonks so perfectly. Rawr... I need to do a better job of responding to yall. That is quite a compliment. Thank you! That, my dear Kasey, is why you're my NUMBER ONE FAN. *snugglepetpet* I hope that someday I shall be published. And thus is the bane of my existence. All my women are firebrands and all my men are chivalrous to the point of nausea. The nice thing about JK is that she gives us these characters that are so... complex and yet not. I'd be lost to dig into Petunia, but I can tell you exactly how she'd react to little ol' Tonks. I think it's impossible to see how broken Harry is through his own eyes, but as soon as you start to look at him through someone else's eyes, especially a character that is a little broken themselves, you see it. I just don't know yet all the ways that Tonks is broken. I love to get responses from you because you're so specific about what you like. It helps. Feel free to offer concrit too if you have any. I'll be strong. I will. I was actually not dissapointed when I realized it was a Tonks fic...I think it's sad that there are so little fics that include Tonks. I love the depth and complexity JK gives some of her female characters. I'm not ready to delve into Ginny, but Tonks and McGonagall are my other two favorites. And Tonks has all this potential as she gets all these layers in HBP. Anyway... thank you. I like the title too, and I'm glad it drew you in. I'll be eagerly awaiting your comments in the future. I have a tendency to overstate the obvious, and I had to step back and realize that line was just... enough. I wanted to go on and on, but in the end, I needed to trust you guys to know what I meant. And you did. And I'm glad you loved it, because I did too. fantastic! brilliant! your writings are always soooooo good. Wouldn't expect anything else from you, I love your choice of character and close referencing to the books. THANKS to all of you. You've totally made my day.